Student Education Loans qualify for tax deduction benefits under Section 80E of the Income Tax Act of India 1961.This tax deduction benefit is applicable to the Education Loan interest you pay and not the principal loan amount. Tax deduction benefits also apply to Education Loans for studying abroad. How do Student Education Loan tax deductions work? To avail a tax benefit on an Education Loan, the loan should be in your name. 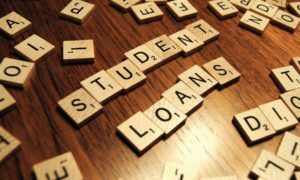 Individuals are allowed to claim though it doesn’t matter whether you are a parent who has taken the loan or the student paying off your Education Loan. Your Student Loan will qualify for a tax deduction irrespective of the field of education that has been chosen. Any regular or vocational course that you pursue after the completion of your senior secondary exam will qualify for a tax deduction benefit if you are funding it using an Education Loan. Your senior secondary exam should be from a recognized education board though. What type of Student Education Loans qualify for tax deductions? If you have taken a Student Loan in your name to pay for your studies or for the education of your spouse, your children or anyone whom you are a legal guardian for; you qualify to claim for a tax deduction under section 80E. Student Education Loans taken by you to fund your sibling or any other relative’s education for whom you are not a legal guardian do not qualify to claim for a tax deduction. Do private Student Education Loans qualify for tax benefits? Only those Student Education Loans can claim tax deduction benefits under section 80E that have been taken from a bank, a recognized financial institution or an approved charitable organization/trust. 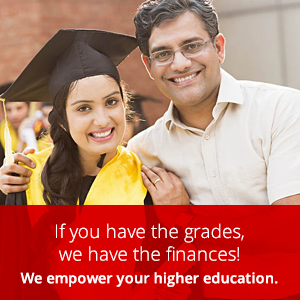 Eg: HDFC Student Education Loans as well as HDFC Study Abroad Education Loans qualify for tax deduction benefits. Education Loans that have been taken from family and friends or any other private money lending individuals don’t qualify for Education Loan tax deduction benefits. There is no upper limit on the interest amount you can claim tax deduction benefits on. However, the maximum duration for which you can claim a tax deduction on your Student Loan is 8 years. This duration begins from the year you begin paying your Student Loan EMIs. If you complete the repayment of your loan earlier than 8 years, you will not be able to claim for any further tax benefits under section 80E. In case you have opted for a moratorium on the repayment of your Education Loan, the accrued interest gets added to the future EMIs accordingly. In case of HDFC Education Loans and HDFC Study Abroad Education Loans, you are required to pay the interest during the moratorium period. Because you are paying the interest amount, you can avail tax deduction benefits during the moratorium period. This gets included in the total 8-years period. How to calculate your Student Education Loan tax deduction under Section 80E? To calculate your Student Education Loan tax deduction amount, you need your Education Loan principal amount, the rate of interest and the income tax bracket you fall into – 5%, 20% or 30%. The higher the income tax bracket, the greater is your Education loan deduction benefit. If you fall in the 30% tax slab, you are eligible for 30% tax deduction benefit on the interest of your Education Loan. This student education loan tax benefit offers a lot of value in the form of savings or cash which can be utilized to meet other important education expenses. To claim for an Education Loan tax benefit, submit the necessary documentation by obtaining it from your loan lender.